Orthopaedic Cupping (AKA myofascial decompression or cupping) is a form of cupping using negative decompression to treat fascial adhesions rather than the muscle directly. Fascia is the cling film type connective tissue that envelopes every muscle in the body. Once the fascia is released then the muscle can be treated more efficiently, and less painfully. Rather than leave the cups on certain points of the body's meridian lines, the cups are moved breaking down the fascial restrictions and adipose tissue. 5 minutes of cupping is equivalent to 30 minutes of a deep tissue massage. This is our most requested add on! This therapy can be used on the: arms, back, neck, shoulders, legs and feet! Orthopedic Cupping effectively treats the rotator cuff, piriformis syndrome, sciatica, ITB syndrome, calf pain, plantar fasciitis & many more movement restrictions. 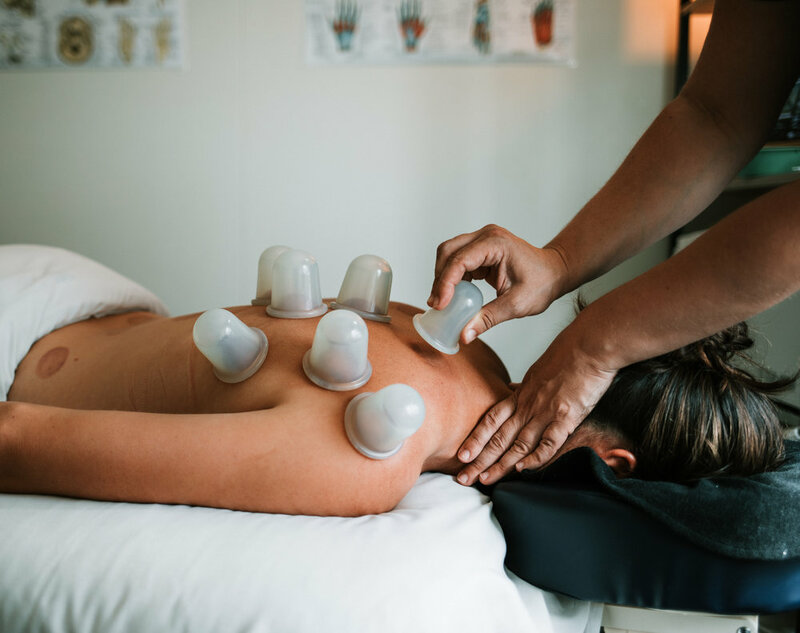 Orthopaedic cupping can be added to any of our massage therapy treatments from deep tissue massage to relaxation massage, it's the perfect little add on to any of our remedial massage therapy sessions. Depending on how bound and tight your fascial restrictions are, small red dots (broken capillaries) may appear and can range from dark red to deep purple. The spots and marks are not bruises and won't cause any pain and should dissipate over the next 24-48 hours.